Young DuPage Angler Lands 37 Pounder in Aurora! I am so proud of my daughter Rachel catching and fighting the Big Guys with her dad. 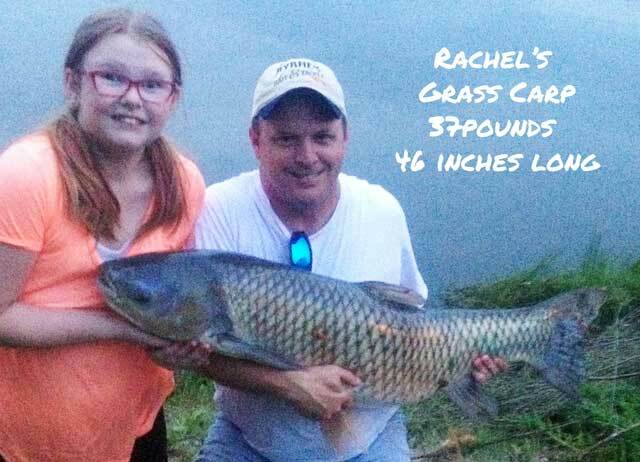 She was so excited especially with the 46 inch Grass Carp that came at the end of the trip!! we might have to call her Pondgirl from now on. Amazing catch! Had to be tired after that fight. That beats my largest carp! Way to go and go do it again!